Boston economic and mortgage experts said increased demand in the housing or property market might not have anything to do with mortgage rates, which a Freddie Mac survey reveals have been slowly on the rise. The average 30-year fixed-rate mortgage rose from lows in February to a little more than 4 percent for the week ending on March 22. The rates broke the 4 percent barrier for the first time since October 2011, when the rates averaged 4.1 percent, according to a Freddie Mac press release. “Bond yields rose over the past two weeks in part due to an improving assessment of the state of the economy by the Federal Reserve, better than expected results of commercial bank stress tests and the likelihood of a second bailout for Greece,” Nothaft said. But the slight increase in mortgage rates may signal an improved economy. Cameron Dietrich, a senior loan consultant at the Boston-based MBA Mortgage Corporation, said the general trend is that when the economy is good, the rates are usually bad and vice versa. Dietrich said the increase in demand might have more to do with people’s confidence in the economy than the mortgage rates. 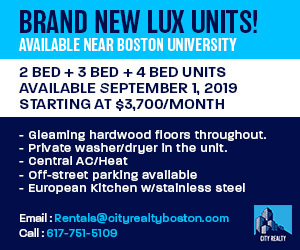 Paula Callaghan, realtor at McCormick & Scanlan Real Estate in Jamaica Plain, said she has noticed a recent increase in demand for properties in Boston. But Dietrich said the recent increase in housing demand is correlated with the mortgage rates, since the rates were just as good last year. Rates probably will not have a huge influence on the housing market right now, said Professor Marc Rysman, who teaches economics at Boston University. If they continue to rise, he said, the rates would be more impactful. Callaghan said she has noticed a recent trend of people saving their money to place down payments of up to 25 percent on properties. The buyers who were waiting to see if the mortgage rates would drop are actually saving more money, she said. Callaghan said she thinks the spike in interest rates is just a phase. It is impossible to predict whether the rate would go up or down, Rysman said.